This fall has brought in a new generation of students to The Guild at King Middle School! The classroom is loud; the mood is jovial; the learning is fast; the pace is furious! As is clear, tabletop roleplaying games (RPG) are an excellent way for kids to “learn by doing,” to learn creativity, mathematics, and cooperation in a social atmosphere — all while having a whole lot of fun in the process! The Beginner Box is great because it is geared toward a younger audience, and it provides nearly everything your kids need to create and run their own adventures. It comes with a player’s book (of which I have already given your child a black-and-white copy), a “game master’s” book, character sheets, dice, 80 cardboard pawns portraying heroes and monsters, and an erasable double-sided foldout playing mat. The only other thing you would want are wet-erase markers to draw on the mat. I know at least two students from last year who have been running the game with their younger siblings. The Beginner Box has some limitations, however. It only presents 3 character races (elf, dwarf, human) and 4 character classes (cleric, fighter, rogue, wizard). However, it is easy to use the full range of races and classes we use in the class, using the Beginner Box. 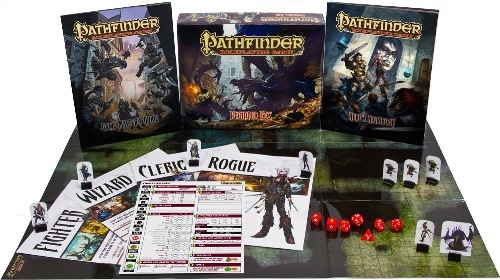 (They are on this website under “Character Creation, Game Rules.”) Also, the Beginner Box does not cover some rules in the full Pathfinder RPG. But this is by necessity, and it does not make it any harder to learn the full Pathfinder rules piece-by-piece later. Supplies of the Beginner Box are very limited right now. (As of time of this writing Sept. 2013… this is no longer the case. -GM) (I expect the company, Paizo, to make another print run soon.) So you would have to do some searching online, or call local hobby game stores (such as Games of Berkeley or Eudemonia). Paizo itself has it on their website, but the weight of the box might make it pricey to ship. 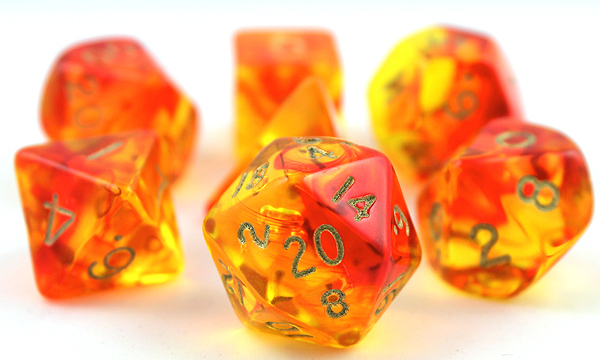 Nothing quite makes a kid prouder at the gaming table than a shiny set of his or her own dice. Games of Berkeley has a wide selection that you and your child can browse. Do not choose a set for them — let them adopt their own aesthetic! 😀 I believe that a complete set of 7 polyhedral dice costs between $5 and $15. Seasoned world wide web experts use this approach to rank in tons of of bucks monthly.